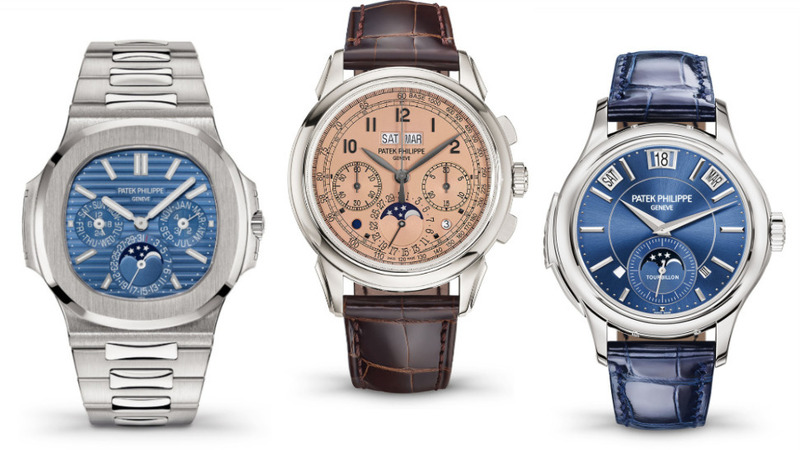 What does it mean to have the movements of the sun and moon on your wrist? There are very specific objects that signal your arrival at the summit or, at least, your continued ascent to the top. It can be the luxury car (with driver) or the first-class airline seat (that looks like a mini-hotel room) or the McMansion (with a pool, pond, and a 10-car garage) or the ultra smart audio system (that you don't understand) or, if you are wise, a golden pot that will prolong your wealth (and also make sure that your spawn doesn't have to work as hard). For many men, the preferred totem of success is the watch—not a smart watch, please, but a luxury watch that illicits equal measures of “ooohs” and “aaahs” as well as envious looks. The make matters: The Submariner (maybe from your father) says you are ready to take on the world. 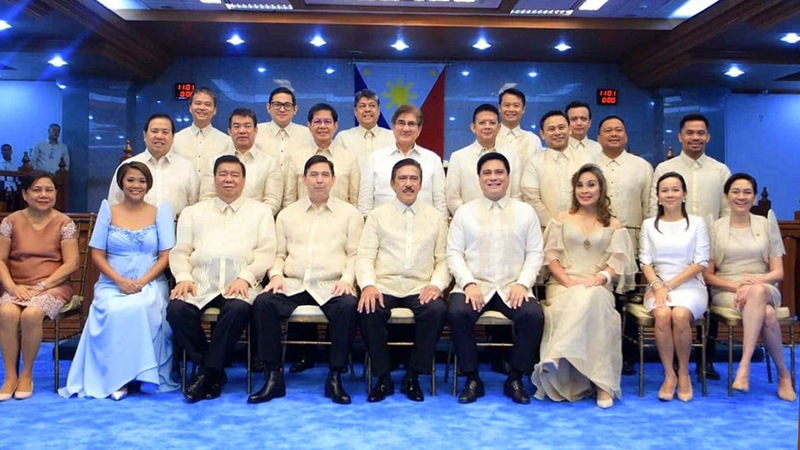 The Santos says you've survived your first decade as a succesful business owner. The Reverso says you've hit your 25th year with your wife without a hitch. 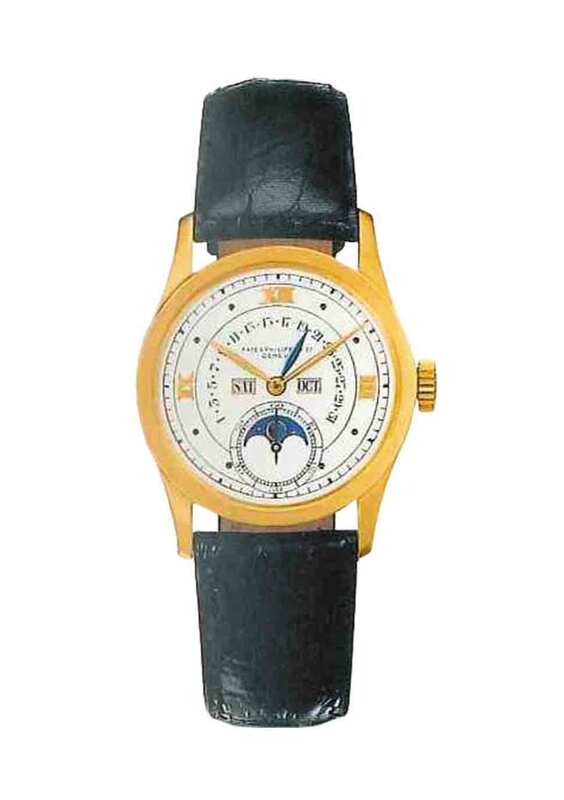 But to own a perpetual calendar wristwatch by Patek Philippe is to say you have made it. The grand complication is one of the timepieces—if not the very one—to acquire when you've reached that point in your life when you have nothing left to prove and no one left to impress. The idea that the movements of the sun and moon, earth and sky is on your wrist says, without question, that you have landed at the top of the world or, at least, the top of your corner of the world. 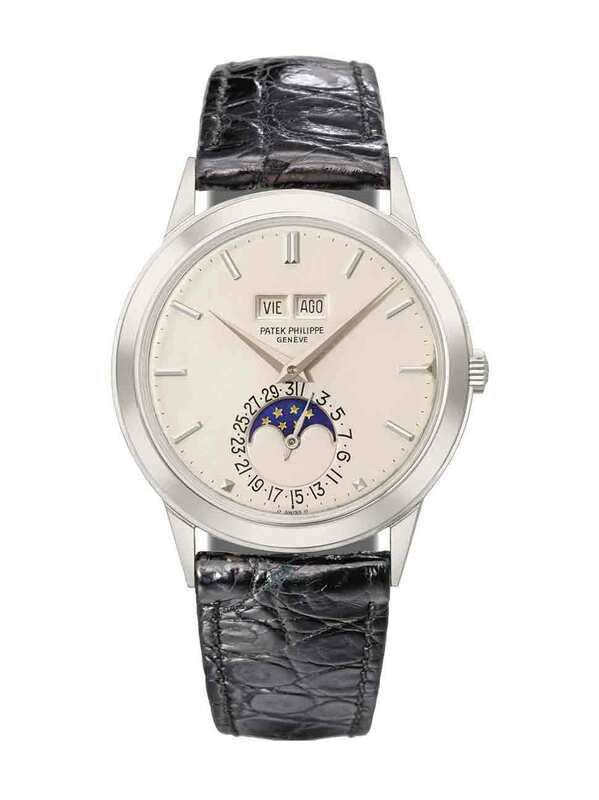 Now, if you dare purchase a perpetual calendar by Patek, it would be important to know a bit about its history and artistry. Why? Well, so you have something to say when the subject comes up (but never bring it up yourself!). Also, you don't want to be that guy. 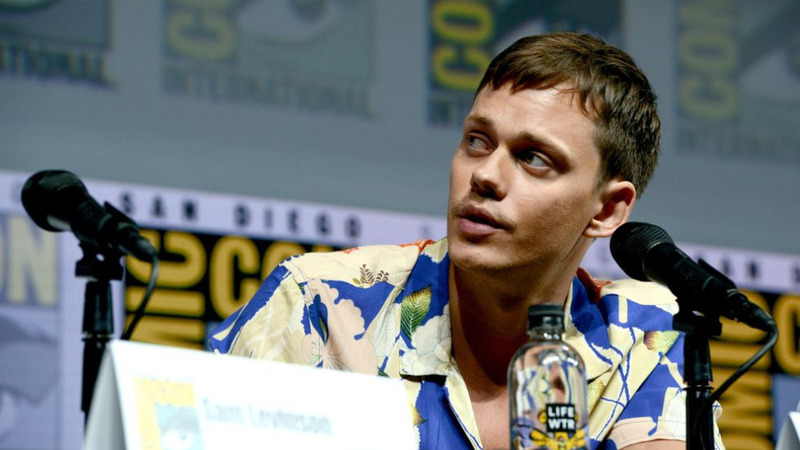 You don't want to be the fool who wears a band T-shirt and not know any song from the musician's repertoire. We're no experts, but thankfully the Swiss watchmakers swung by Manila to give clients and watchlovers a quick workshop on the matter. 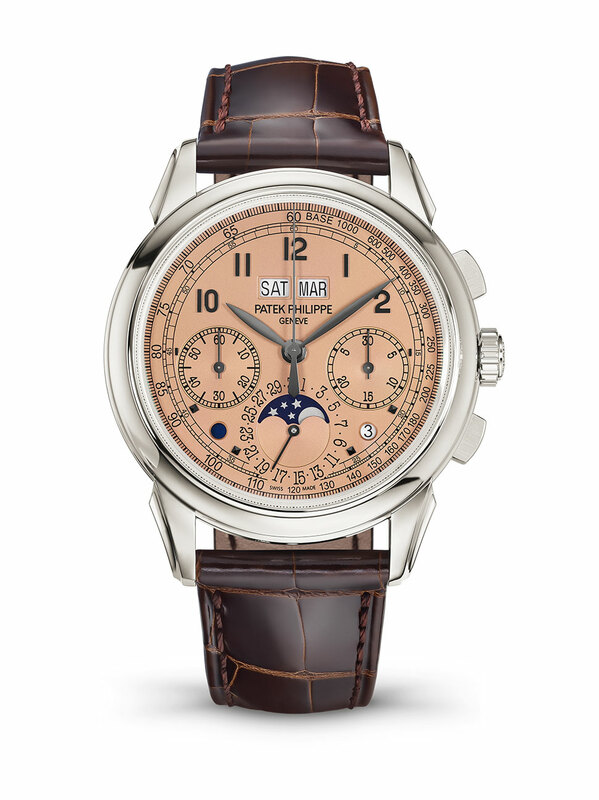 Here, a crash course on the Patek Philippe perpetual calendar watch. In the beginning, Egyptians recorded time by looking up, tracing the movement of sun (for the time of day) and moon (for the month) in the first calendar system. They also took note of the seasons to figure out the passing of each year. In that dark age without iPhones, these methods captured time by following the rhythms of life (harvests, flood cycles)—something that we, through our devices, diaries, and watches, still do today. The idea of time we follow now is similar to the first calendar system. The lunar calendar tracked 354 days or 12 months in a year and followed a 29-and-a-half-month cycle. The solar calendar, which came after, introduced 360 days in a year. The Roman leader decreed that, in his Julian Calendar, there should be an additional day in February every four years to more accurately reflect the days in a year. Caesar's leap years created a discrepancy in the seasons (a 10-day error accumulated in 1,500 years), and the Pope sought to correct this through his Gregorian Calendar. He removed the days to better pinpoint the arrival of Easter (it kept getting pushed back). Fun fact: If you go back to 1582 on your iPhone, you will find that October 5 does not exist. On to the watches: Astronomical watches, which reflected the movement of planets and stars, were invented in the 17th century; calendar watches that featured date and moon phases replaced astronomical watches in the 18th century; and the first perpetual calendar watch, which took leap years into account, was created by Thomas Mudge in 1762. Guess who has it today. Even then, you had to be a person of certain status to get your hands on a Patek Philippe, and so the coverless pocket watch, with a perpetual calendar function, made its way to a Spanish queen. Memorize: Every year that can be divided by four without a pesky remainder is a leap year. A special rule applies to century years (1800, 1900, 2000): If they cannot be divided by 400 without a remainder, they are not a leap year. You need to know these because the communication of leap years defines the perpetual calendar. The ultimate luxury is never lifting a finger. Unlike lesser calendars, the perpetual calender displays day, date, and month and, most crucial, accounts for leap years without the need for human interference. It also knows whether this month or the next ends on the 28th, 29th, 30th, or 31st. No need to wear yourself out by winding that little crown to correct the display. If you must know, the simple, double, and triple calendars (refers to whether the watch displays day, date, or month) require manual adjustment five times a year or the end of 30-day months and February. An annual calendar requires manual correction only once a year or at the end of February. Actually, the perpetual calendar does need manual adjustment on secular years not divisible by 400. The next secular year is on 2100. We don't think you'll be around by then. Good to know: There is something called a secular perpetual calendar, which follows the Gregorian Calendar, and thus will never need correction. 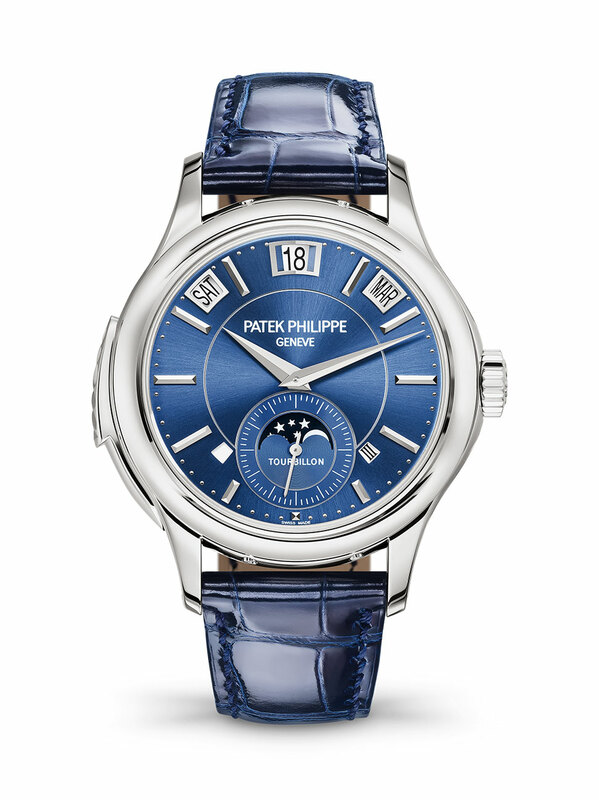 Patek's Calibre 89, which was released to celebrate its 150th anniversary, is one such watch. 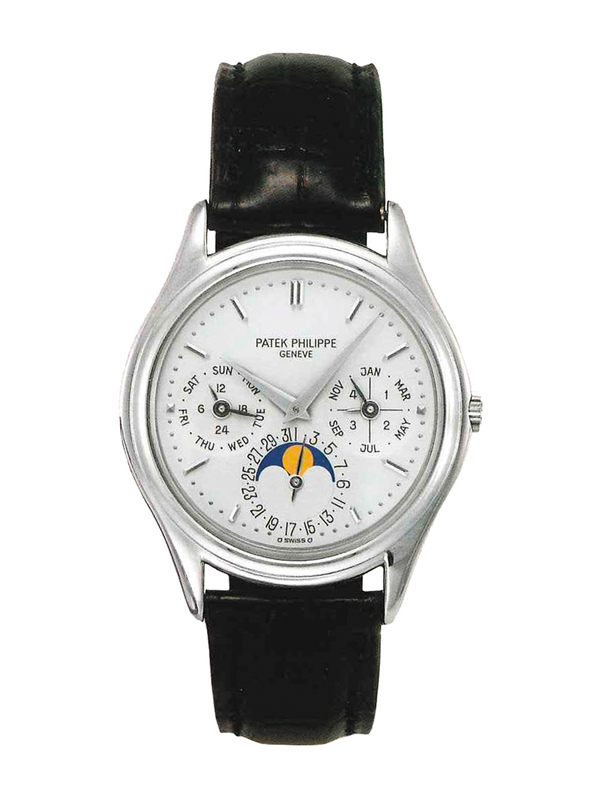 The oldest known perpetual calendar wristwatch is a Patek. This was originally a pendant watch (from 1898) that was transformed into a wristwatch. 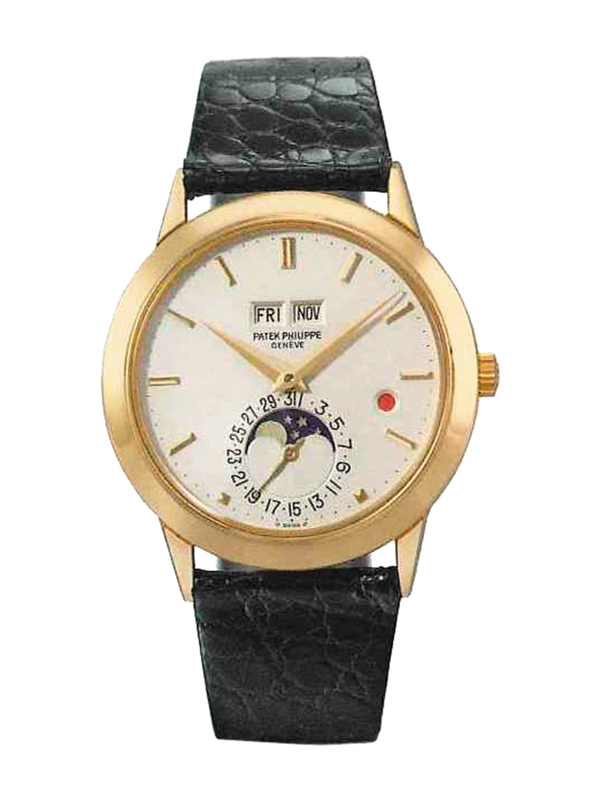 The first retrograde-hand perpetual calendar watch. 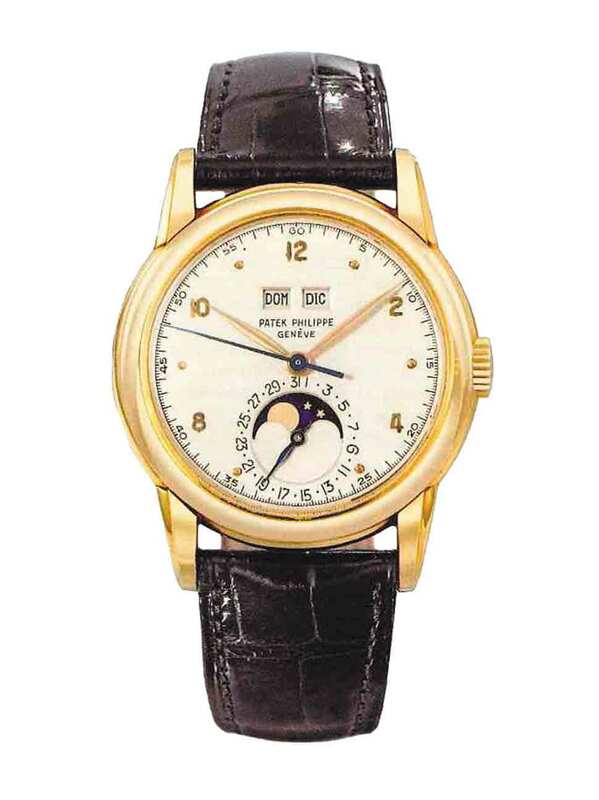 The very watch worn by both Charles and Henri Stern, owners of Patek Philippe. The first water-resistant perepetual calendar watch. The first self-winding perpetual calendar watch with a leap year indicator. Noted for its leap year indicator in red. The thinnest perpetual calendar watch restored faith in mechanical watchmaking. Combines the perpetual calendar with a minute repeater and a tourbillon. 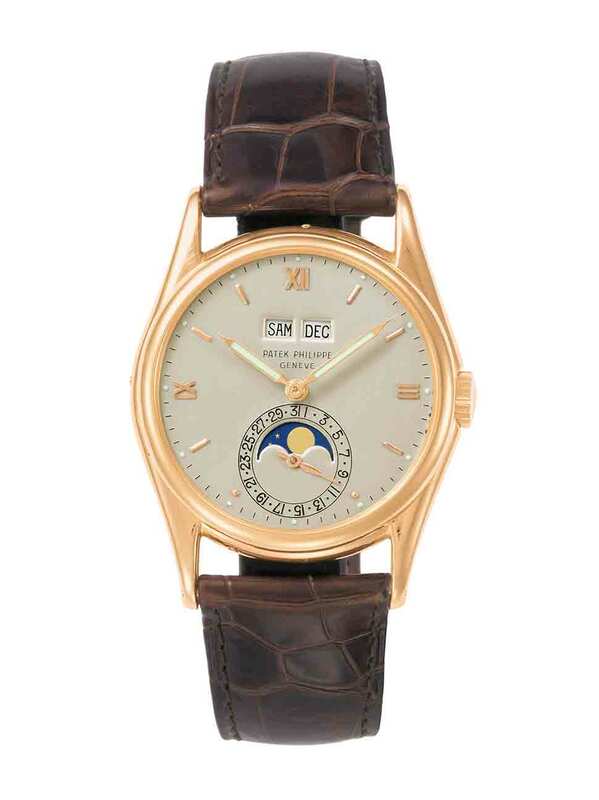 Note the apertures arranged in an arc, one of the ways Patek displays its calendar functions. 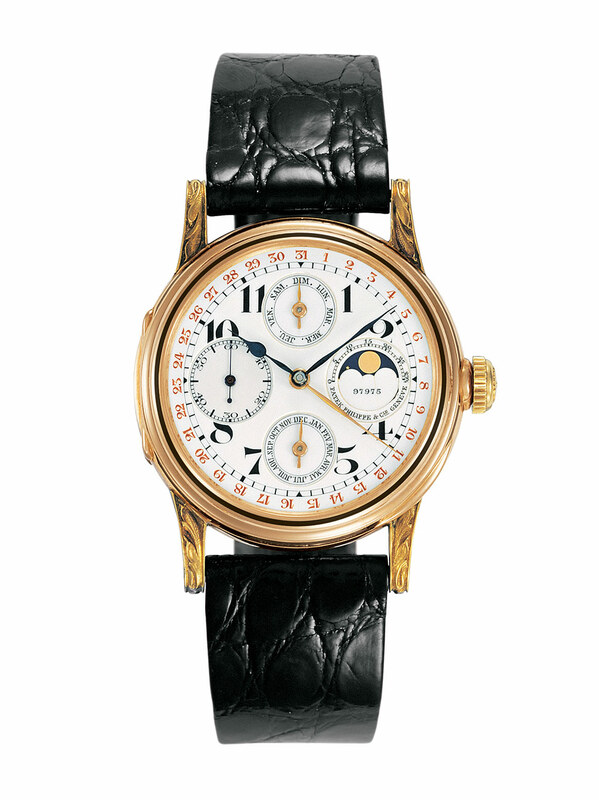 The muted gold dial, blacked-out indices, and brown alligator strap give this perpetual calendar a throwback feel. Also, it's in platinum. 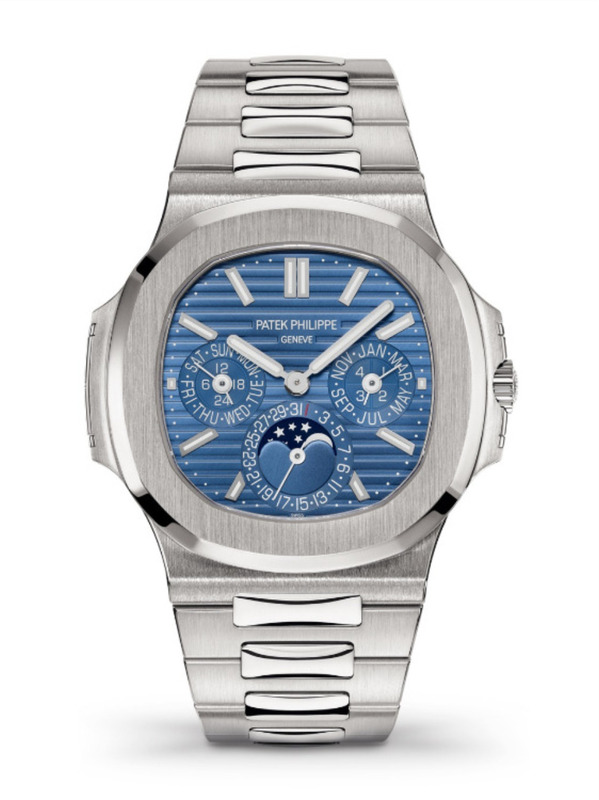 The first grand complication in the iconic Nautilus family is Patek's thinnest perpetual calendar. This is the one.